All you Windows Phone mavericks have reason to celebrate today! Twitter has finally updated the windows phone app so you can tweet from your phone using the same nifty features as the rest of us. We’ll run through them quickly for you, as we know you’re short on time, being so cutting edge and all. 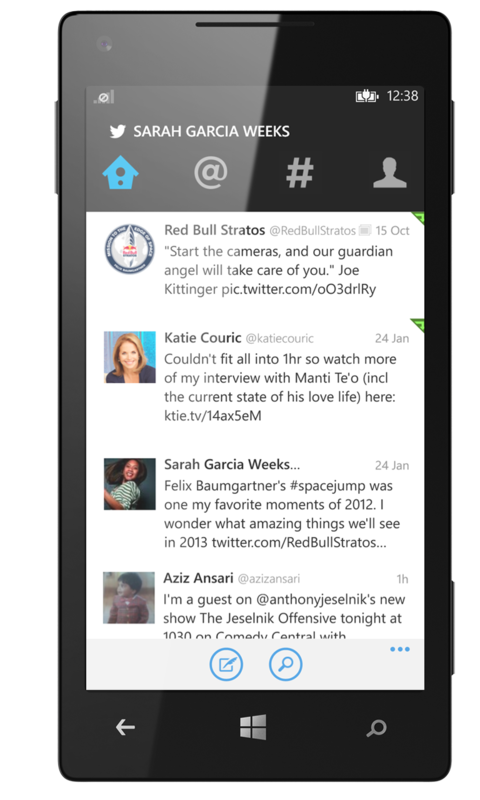 Last October, Twitter promised to build an updated app for Windows 8. It promised, and it lied. Kind of. “Months ahead” could mean four months. And here’s a visual for you, showing a shiny phone! And please, windows phone users, know that we kid you about being “mavericks” because we’re secretly jealous of your phone – or at least I am after reading this review of Windows Phone 8 from PC Mag.